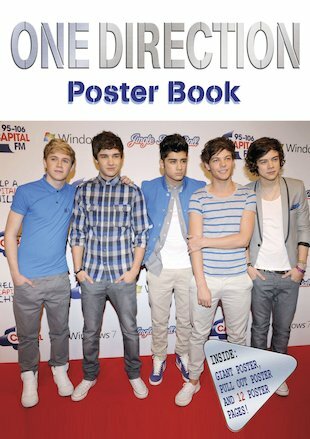 Get closer to the dreamy 1D poster boys with all the pull-outs you could want, plus an awesome giant poster. Spot the gorgeous guys in every direction! Why settle for a back row seat when you can get a close-up view of the talented boy band heroes? As well as profiles, fun facts and incredible true stories of life on the road as one of the world’s hottest musical properties, this book is stuffed with glossy poster pages to adorn your walls. You’ll find pull-out mini posters throughout the book, showing the boys in all sorts of fabulous poses, plus an incredible giant poster to take pride of place. Now all you have to do is work out where to hang each one! I absoloutely love one direction because they are beyond amazing. They are the best boy band/ singers in the world.